Lewis David Lowrimore comes to us from Eglin, South Carolina. 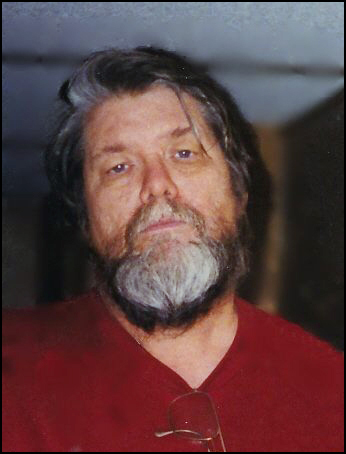 Lowrimore was 68 years old when he died on 22 Mar 2019. In his obituary, it says that he served in the Navy and was a Navy SEAL. The words in this obituary seemed to be carried over to other announcements. We were contacted by some people about this for verification. After contacting the UDT/SEAL archives, the Naval Special Warfare Center and checking the UDT/SEAL database we found that there is NO record of Lewis David Lowrimore ever completing BUD/S Training or being assigned to a SEAL Team. 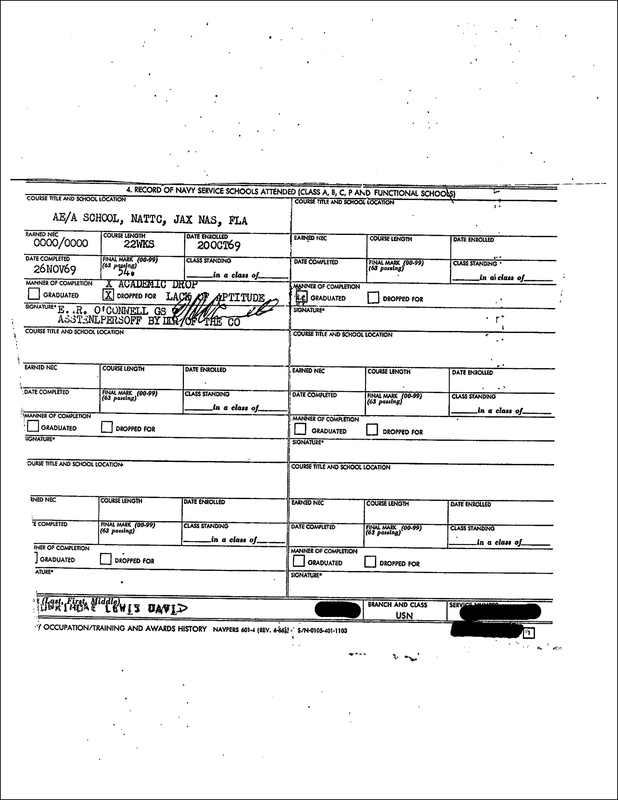 Lewis David Lowrimore ‘s military records were ordered through a Freedom of Information Act (FOIA) request. ﻿. . . . . The above photo shows that Lowrimore must have completed his U.S. Navy service before he went to college. 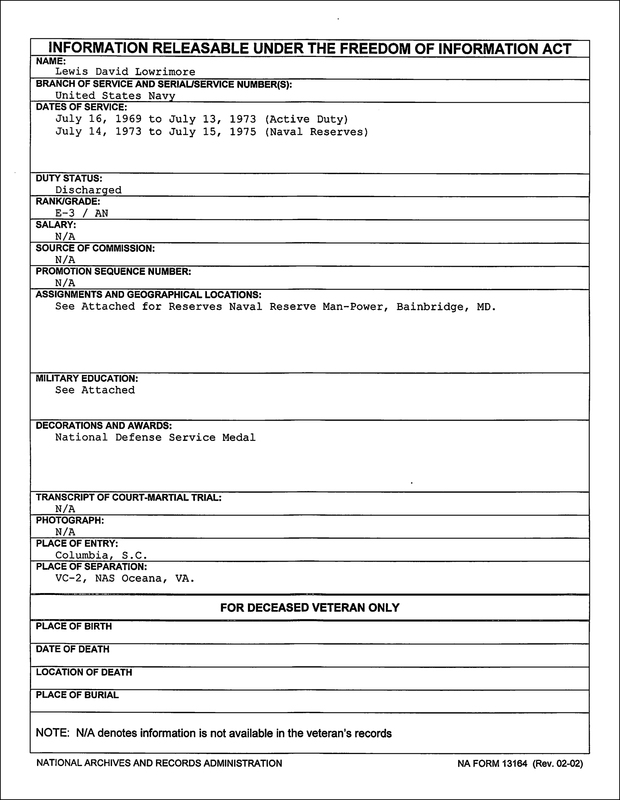 Lewis David Lowrimore’s official military records show that he completed four (4) years of active duty and two (2) years in the Navy Reserve. He was not listed as ever being a Navy SEAL. Also, there was no SEAL training or SEAL commands to support a claim of him being a Navy SEAL. 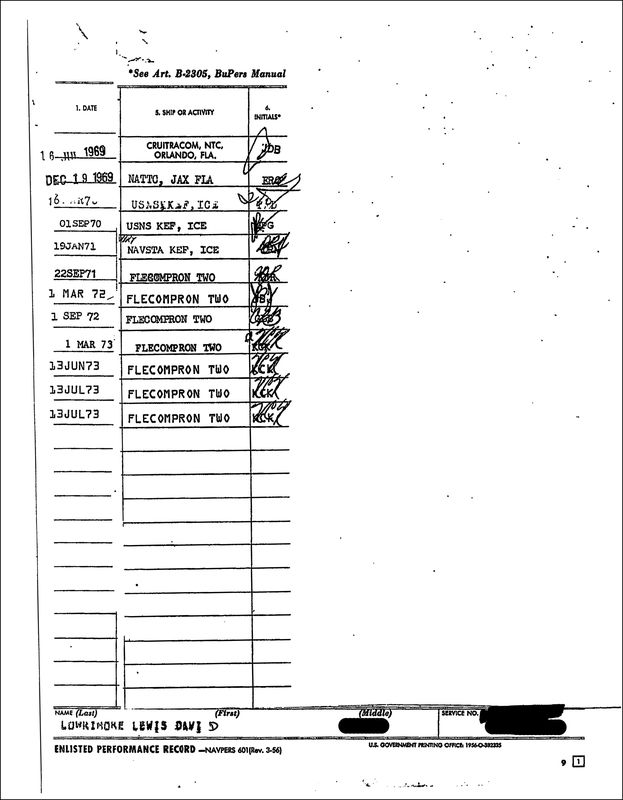 Looking at other sections – nothing in Lowrimore’s military records support a claim of him being a Navy SEAL. Unless friends or family come forward to say otherwise, we did not see Lewis David Lowrimore say himself he was a Navy SEAL. If he never said it, it would be odd that someone in his family was under the impression that he was a Navy SEAL. He served when most wouldn’t – and that is admirable. In any case, there is a good chance that many of the people that know Butch most likely think of him as a former Navy SEAL – either prior to seeing this obituary or after seeing it. 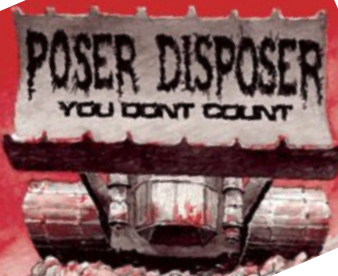 Some have contacted us and got us to give this a look. 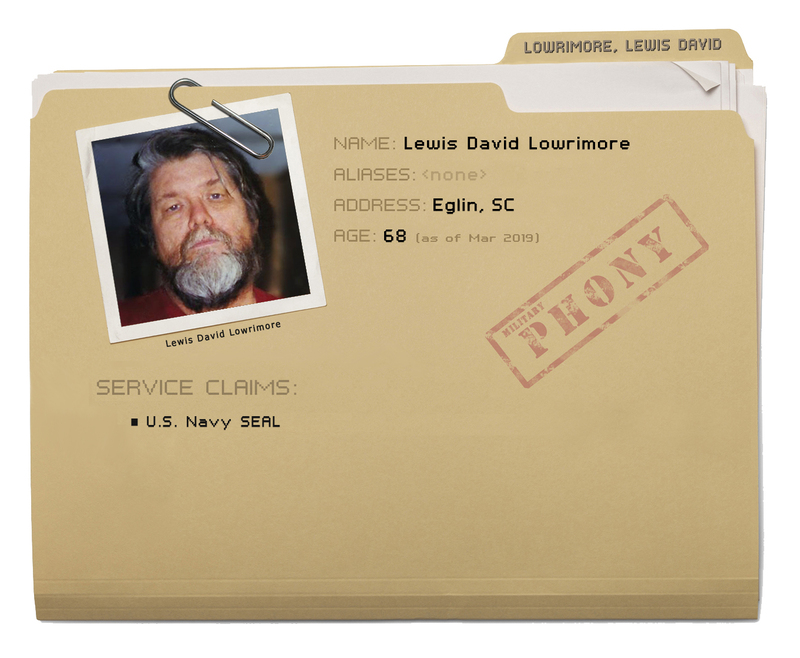 We just wanted to clear up any misconceptions – Lewis David Lowrimore was not a Navy SEAL. It seems that he and his family would want to set the record straight and we are helping to do that. To have honors bestowed upon someone is not fair to those that not only earned the title of SEAL and went through the training, but have lost brothers-in-arms that chose to go in harm’s way. If he did NOT make the claim of being a SEAL, then I wish him a peaceful rest. If he did make the claim, I do not pray, or express any ill intent toward him or his family; I am a gentleman.